The weather is getting chillier everyday, but luckily most of our produce still can grow due to their hearty plants and from some of them being protected within our greenhouse structures. Our tomato crops especially are continuing to yield in peak amounts. As a result, Heirloom and Trust variety tomatoes are on sale this week! Come stop by and pick up some delicious tomatoes for just $1.95/lb. (for Trust) or $2.45/lb. (for Heirlooms). This Thursday, Sept. 7, there will be some extra excitement at the Clark Park Farmers Market--the annual Dollar Stroll is once again coming to Baltimore Avenue! Don't miss this opportunity to come out and experience Philly's local small businesses! Homestead Gardens will be offering sweet Concord grapes ($1 a pint) and grape tomatoes ($1 a 1/2 pint) for our dollar specials. This week at out stand don't miss the last of our summer produce. A lot of our crops of fresh produce that we have been growing throughout the summer are bearing their last fruit, and the season it slowly winding down. But fall produce is on the way! Expect to see sweet potatoes, squash, and brussels sprouts in addition to our other produce in the next few weeks. 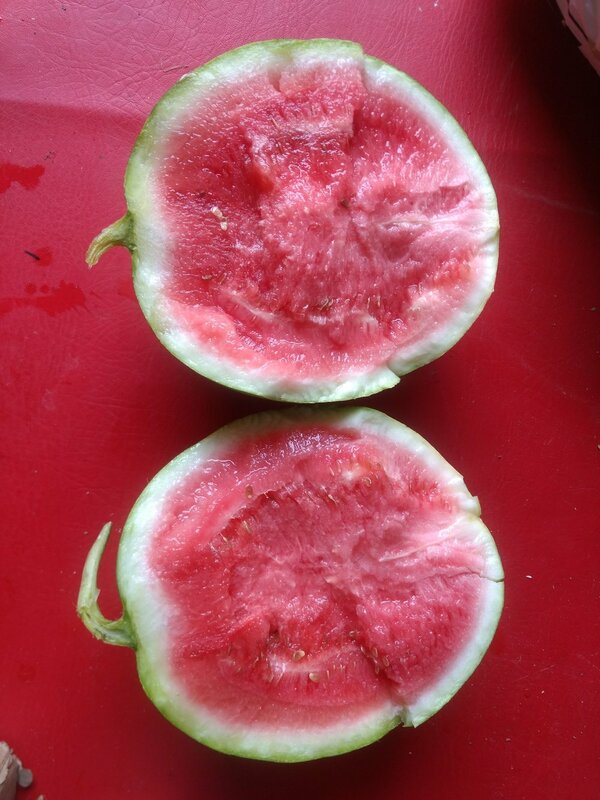 Unfortunately, some things must come to an end: this week is likely our last markets for our watermelons. 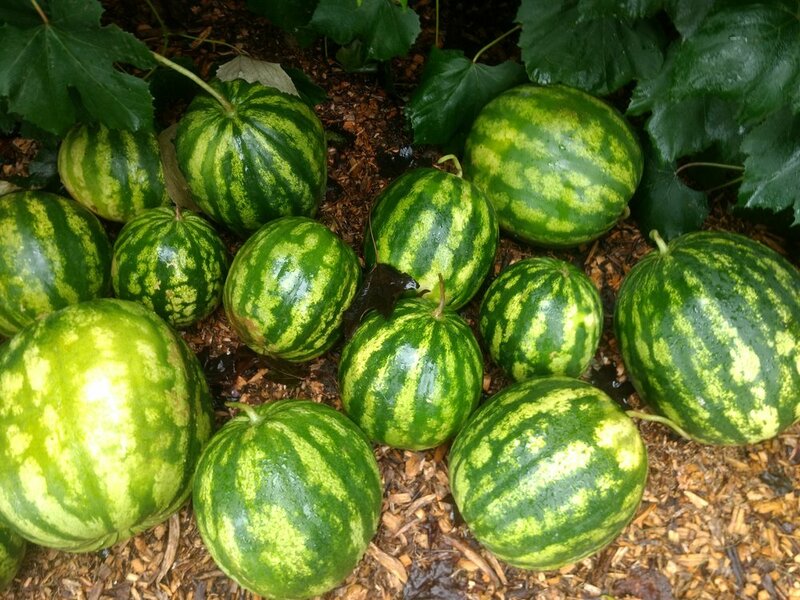 Our watermelons are an excellent example of a produce item that tastes best and is usually grown best when it is in season. So come on out and pick up your last watermelon and other summer produce at Homestead Garden's market stand this week. We will be at Clark Park Farmers Market on Thursday, 3pm-7pm, and at Overbrook Farmers Market on Saturday, 9am-1pm.